Japanese real estate developer Iida Holding is looking to invest up to $450 million to construct a resort on Russky Island, off Vladivostok. Japanese real estate developer Iida Holding is looking to invest up to $450 million to construct a resort on Russky Island, off Vladivostok. The resort would have golf courses and a ski resort, Sergey Kachaev Russia’s Deputy Minister for Development of the Far East told Kommersant on the sidelines of the MIPIM Japan Exhibition in Tokyo. Iida declined comment, but a representative of the governor of the Primorye territory confirmed that negotiations were taking place. Russky Island, formerly home to a military base, was transformed to host the APEC Summit in September 2012. The original plans called for the creation of a recreational area on the island. 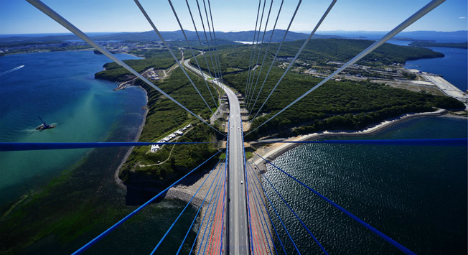 If Iida decides to go ahead with the investment, it will receive preferential treatment, since Russky Island is on the verge of gaining priority development territory status, the representative of the governor of Primorye territory said. Residents of a priority development territory are exempt from the payment of VAT and income taxes for ten years. The Iida Holding has a 25 percent share in Japan’s residential housing market. Originally published in Russian by Kommersant.